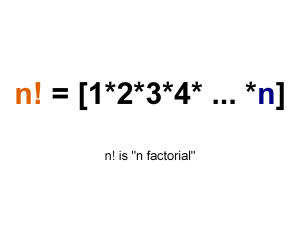 Factorial of any positive number n, denoted by n!, is the product of all integers from 1 till n.
If you wish to make the factorial program without any recursive calls then visit this link. For calculation of factorial of big numbers, that is even 500!, refer this link. This is really an amazing program.